These pretty ladies are (from left) Chie, Sophia and Jamie. 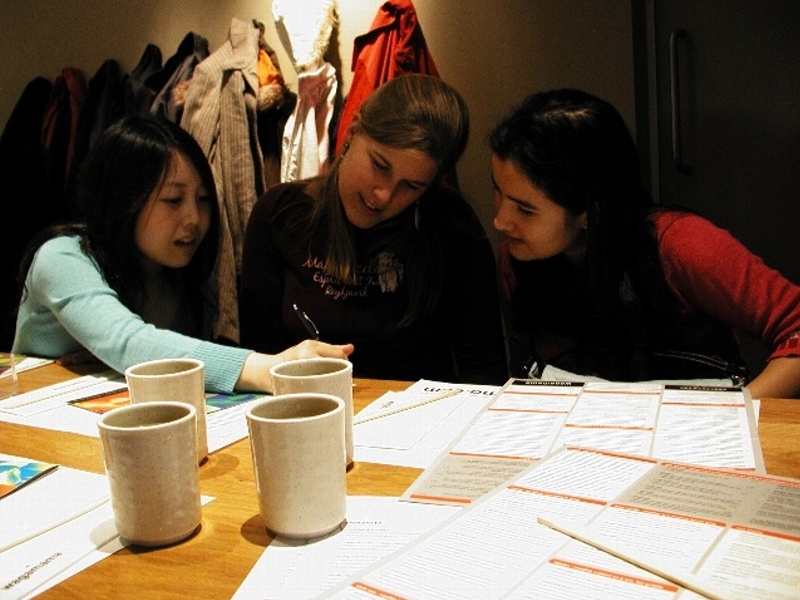 The photo was taken in Wagamama, a notorious Japanese restaurant. Chie is teaching how to write her name in Japanese.